Daniel Singer started his apprenticeship in 1987; working with one of the country's most established & respected companies. After his apprenticeship, Daniel moved on to work for, and with, some of the leading businesses of the time. Daniel was lucky enough to work in some of the UK's most famous properties including 10 Downing Street; The House of Commons; and Windsor Castle, this is to name only a few. In 1998 Daniel launched his own company. 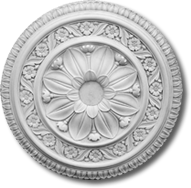 The company today is responsible for manufacturing, supplying and installing the finest quality plaster mouldings. We provide our products and services mainly to residential properties ranging from the humble terraced house, to grand stately homes. Daniel and his equally skilled team offer the most adapted and specialist service of the complete repair and restoration of plaster mouldings. Each year the company has developed, our business has gone from strength to strength, through adding more services and honing every skill we use. Traditional Plasterworks comprehensive services include an exterior moulding service, a general plastering service and a decorating service.